This document would be helpful when there is a need to create multiple .dfx and .blx on Qualifiers(multiple data bases) from a single .cns / .cnx connection in IDT. This requirement is worked with SAP BOBJ 4.2 version. There are no version dependencies. 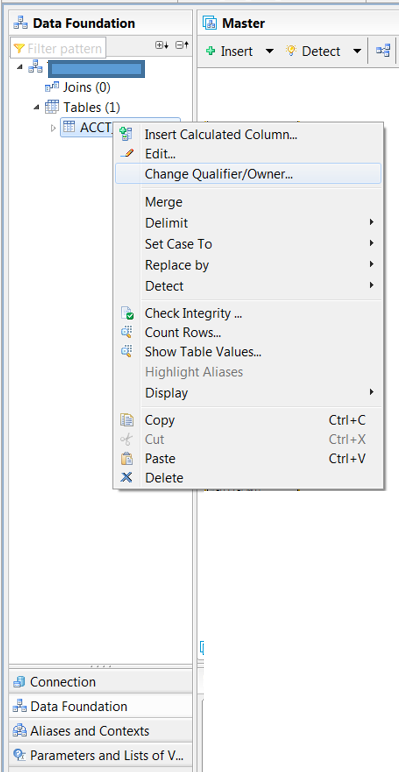 I had encountered such requirement where I need to use same tables and create similar joins but on different data bases under connection. Under Relational Connection : ‘TAX_RDBC_CONECT.CNS’ I have 3 qualifiers as below. All the qualifiers has similar tables and fields. In the above example if we have to create .dfx and .blx on all there databases with same tables and joins then follow the below process instead of creating manually on all 3 qualifiers separately. Step 1: Create DB Connection: As per the above example , first create a connection for TAX database under ‘Repository Resources’ in IDT. Create new project and then a connection shortcut to new project. Step 2: Create Data foundation layer: On one of the Qualifier you would need to manually create .dfx . As per the above example manually create TAX_RDBC_2014.dfx by selecting required tables and creating joins between tables. Now you can copy and reuse the previously generated and saved .dfx to other two qualifiers. Copy .dfx to other Qualifier : Select ‘TAX_RDBC_2014.dfx’ right click and select COPY. Goto .cnx -> right click and select PASTE. In the popup to provide description for the new .dfx enter ‘‘TAX_RDBC_2015.dfx’. This way the new .dfx is created but the underlying tables will still be populated data from Qualifier1. We need to make sure that TABLES under ‘TAX_RDBC_2015.dfx’ are populated from Qualifier2. Now goto ‘TAX_RDBC_2015.dfx’ -> ‘Data foundation’ tab -> ‘TABLES’ -> right click and select ‘Change Qualifier/Owner’. Table Joins are also created as per the Data foundation of Qualifier1 and once there is a change in Qualifier, joins also will realign with the selected Qualifier. Here you can select Qualifier2. Now tables under the second .dfx will be populated data from Qualifier2. Create ‘Folders’ , assign attributes and measures. Select properties that you want to set for Attributes and Measures. You does not need to repeat these settings in the next two Business layers as you can copy the same settings for the other two Business layers. Create ‘Business Layer’ by right clicking on the other two .dfx respectively. Now delete the auto generated Folders and assignments in the new Business Layer. 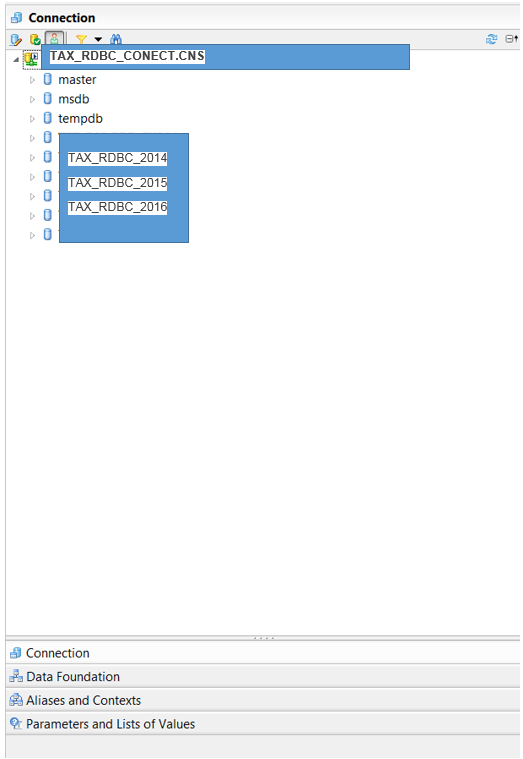 Copy Folders from “TAX_RDBC_2014.blx” and add to the new Business layer created for Qualifier2 and SAVE the Business layer. Same can be followed for Queries , Parameters and List of Values and Navigation Paths in Business Layer. Click on ‘next’ and select the folder in which you want to publish your universe and click on finish. Now you can use this universe in the reporting tools to design the reports. You can also export the Business Layer objects to text or PDF format. Select .blx right click and select ‘SAVE AS’. A pop up arrives for selecting the Meta data Elements to generate a report on the selected .bfx. There is an option to Print .blx from the context menu. You can print the Business Layer Object document in the PDF format. You can also export a data diagram from the Data Foundation by clicking the Save View As icon. 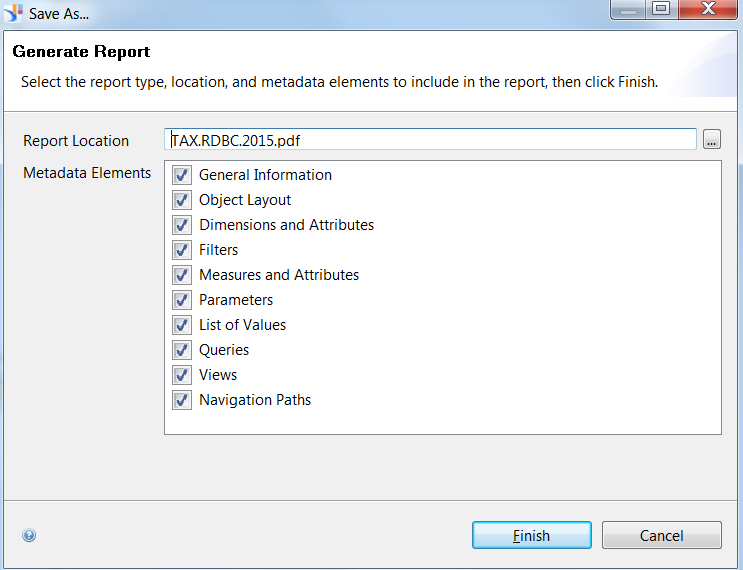 Provide a Report location and Generate.